The time has come for Bryan Power Sports Handicapper to EXPAND! 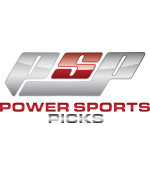 Having achieved a tremendous amount of success, Power is expanding his reach in 2015 as he proudly announces the formation of Power Sports Picks (that’s “PSP” for short). Power Sports Picks promises to deliver the same quality analysis (and same amount of winning) as before, only now with a FULL TEAM assembled, the SKY IS THE LIMIT! Register an Account Now for Free Picks and Exclusive Offers From Bryan Power – Sports Handicapper!